Today I finished my watercolor, Flight, based on a photograph by the talented Pat McSweeney. This is the first large watercolor (36 x 50 in. / 91 x 127 cm.) 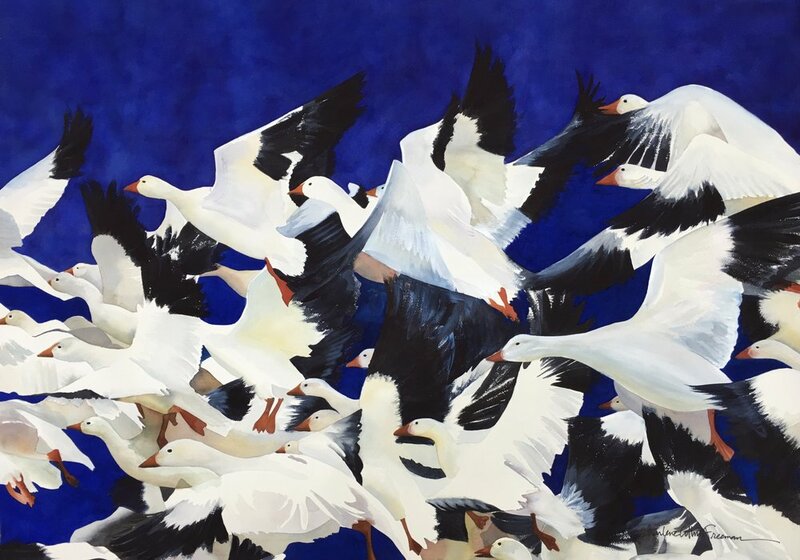 I've painted in a long time and I absolutely loved getting lost in this gaggle of snow geese from Fir Island. I'm looking forward to creating more bird paintings. Thank you Pat for letting me use your photo as an inspiration for "Flight."